Delft, Netherlands—July 11, 2008 – OCZ Technology Group (LSE: OCZ), a worldwide leader in innovative, ultra-high performance and high reliability memory and components, today announced the expansion of its gaming peripherals under a new “Alchemy” line, with the introduction of the Elixir keyboard series for highly advanced functionality in game-play. 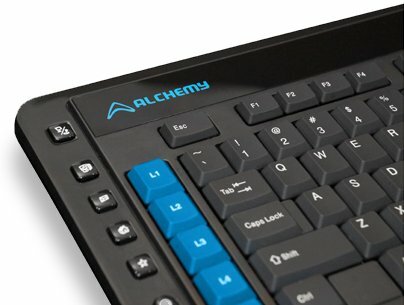 Featuring a wealth of user-friendly features combined with an ergonomic and sturdy design, the Elixir keyboard will deliver a unique combination of performance and vale to gamers as they blaze through the latest PC titles. 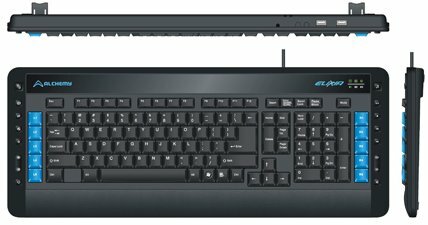 The Elixir is a high-quality keyboard featuring the necessary features such as 10 tri-mode programmable macro keys, mode selection, a pop-up menu shortcut, and Windows® Media Players optical controller. The sleek design of the Alchemy Elixir Series will maintain your comfort throughout long gaming sessions with its membrane tactical keys made from 100% rubber-coating for no-slip comfort and ergonomic design. The Elixir also features a USB port for added convenience, along with an extremely reliable lifestyle of 5 million cycles. The Elixir series is compatible with Windows® XP (SP2 or later) and Windows® Vista™. 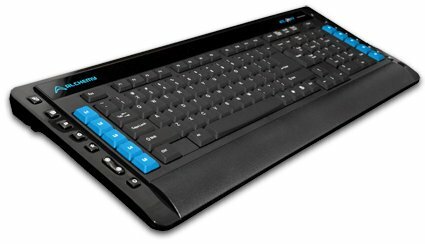 Elixir keyboards feature a MSRP of $29.99 and are the ultimate accessory for a budget gaming system.